Four changes from the side that had lost at Walsall the previous Saturday. "I am really proud of the application that the boys put in. People will say we have defended well and we did defend well but don't discount the way the forwards defended and the way they set up. Myself, Dobbo [Richard Dobson] and Andy [Fairman] came up with a plan but the players have to keep to that plan and they take all the credit. They were dropping when they needed to drop and press when they needed. We defended so well as a unit. I knew Peterborough would break well on the counter but we were sharp and broke play up. "Ryan Allsop made a couple of great saves but so did Aaron Chapman for Peterborough. All-in-all, I think we deserved the win." "It is important that the squad is strong. Those who are sat on the bench will definitely get a chance. I thought Alex Samuel led the line really well. One game doesn't make a season but it is a good message when we do that against a side like Peterborough." What about this guy today? Here's how Bryn Morris's match-winning free-kick looked from behind the goal, thanks to our https://t.co/uaOHj9TbK8 Goal Cam! Turn your sound on to hear the roar from the terrace when it hits the net. 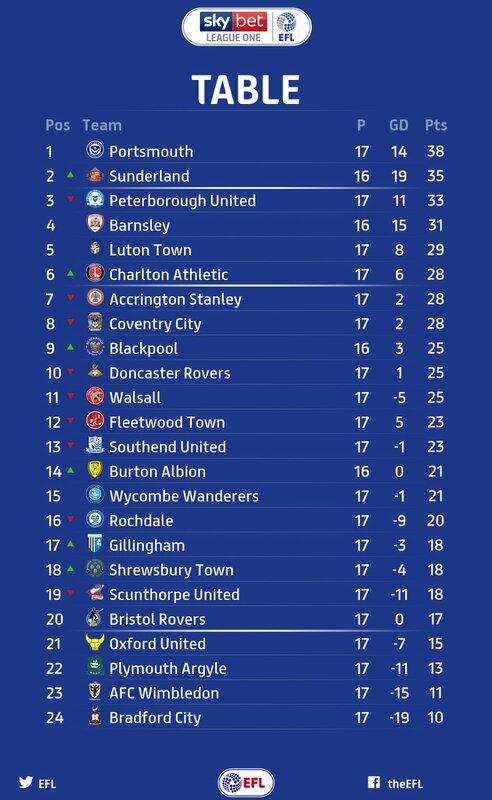 Wanderers remain 15th in the table but now with a six point gap to the relegation zone and seven points from the play-off places. Bottom two clubs Bradford City and Wimbledon have now lost seven and six consecutive games in the League, respectively. Peterborough drop to the third place in the table after Wanderers inflicted their first League away defeat in 2018/19 - 8 wins and 1 draw coming from their previous 9 League One outings.